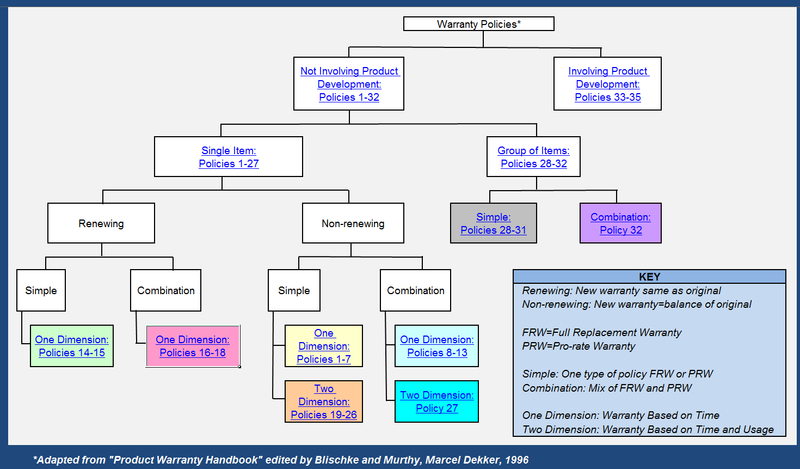 The Warranty Calculator was developed to provide automated calculations and comparisons for ten different warranty types in common use. 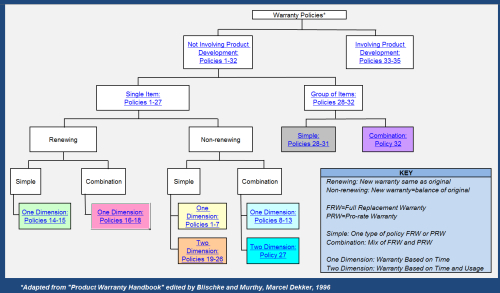 The tool also includes data, information and references that provide further guidance for over 30 additional warranty types. Strategic warranty planning can increase customer confidence, reduce operational costs and provide the opportunity to generate revenue. Effective warranties integrate reliability, maintainability, supportability, availability, and life-cycle costs to arrive at optimized solutions. Try the Warranty Calculator for free by clicking the button below. 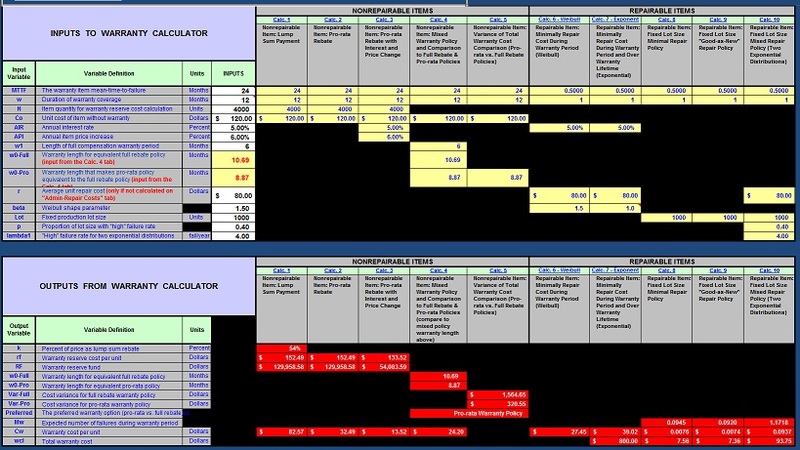 The Warranty Calculator includes a Tab that captures all required inputs for each of the ten Warranty Types and allows side-by-side comparison of their results in order to allow the user to compare and choose an appropriate Warranty for their product. © 2015 Quanterion Solutions Incorporated. This tool was developed by Quanterion Solutions Incorporated and is protected by U.S. Copyright Law. It may not be copied, automated, resold or re-distributed to others by the user (or his/her organization) without the express written permission of Quanterion Solutions Incorporated. If copying, automating, reselling or re-distribution of this copyrighted material is desired, please contact 877.808.0097 (toll free) or 315.732.0097 for licensing information.